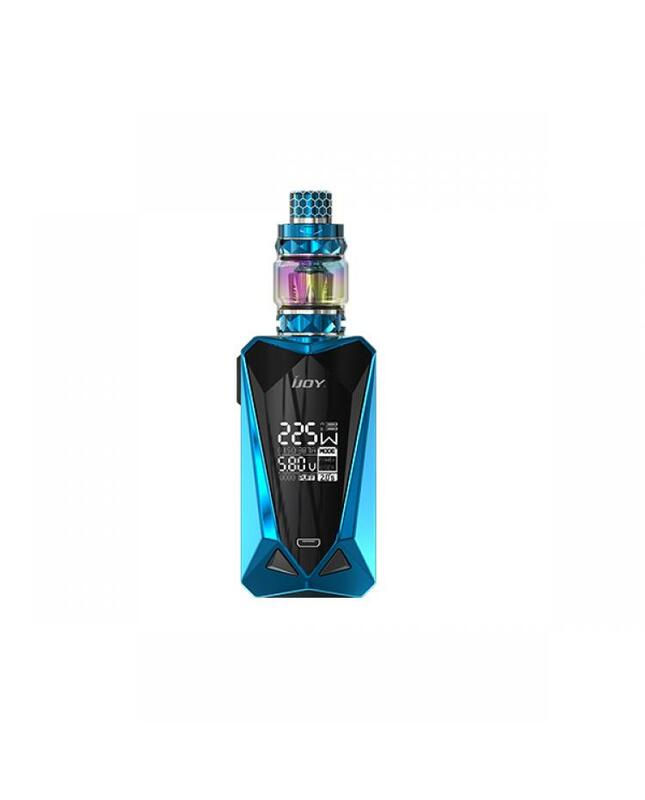 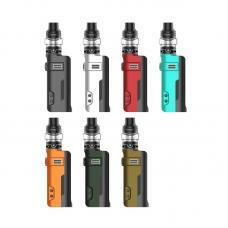 The iJoy diamond mini TC starter kit, which with a cool and stylish diamond cutting surface design, fire button also adopts diamond design, which fits with the design elements of the whole machine. 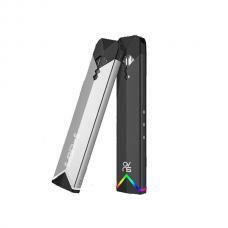 the whole vape kit includes ijoy diamond mini box mod and diamond baby tank, 10 fashionable colors available. the new ijoy vape mod powered by dual 18650 batteries and max output 225watts, large OLED screen and upgraded user interface will show more clearly vaping data and let the operation more simply. under temp control working mode, it supports NI, TI, SS vape elements, USB port charging and firmware upgradeable. the baby diamond tank with the bubble glass tank, allow it can hold 4ml e juice, the 2ml extra glass tank included. 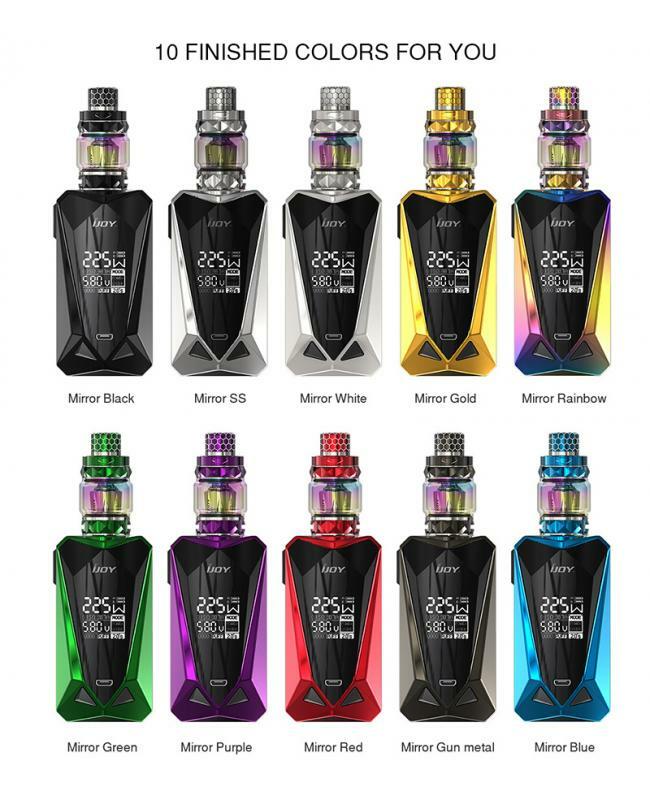 fast screw-cap-type refill design, allow injecting e juice easily. 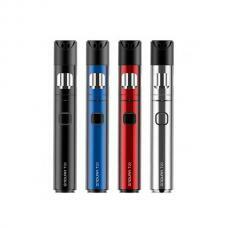 large dual bottom airflow adjustable slots, which allow adjusting the airflow to your preference easily. comes with 0.18ohm mech coil heads, which increase the heating area and allow heat fast, deliver the pure flavor and large cloud of vapor.